Home > Money Clips > Valentine's Day Gift. Greek Drachma Money Clip. 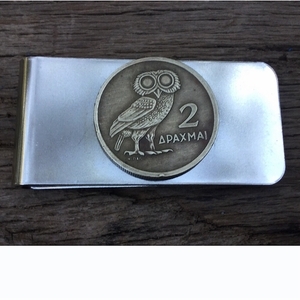 Greek Owl Coin Money Clip. Handmade Money Clip. Owl Gift For a Man. Valentine's Day Gift. Greek Drachma Money Clip. 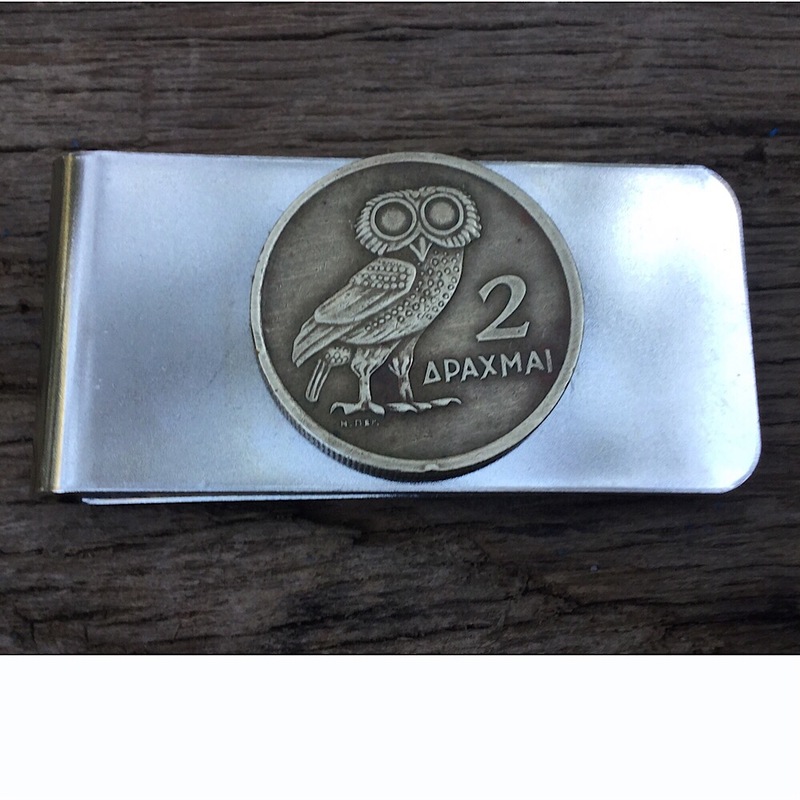 Greek Owl Coin Money Clip. Handmade Money Clip. Owl Gift For a Man. Authentic Brass Greek Drachma Coin from Greece on a stainless steel money clip. Unique money clip that will make a great gift for a man. This coin represents Athena the Goddess of Wisdom.